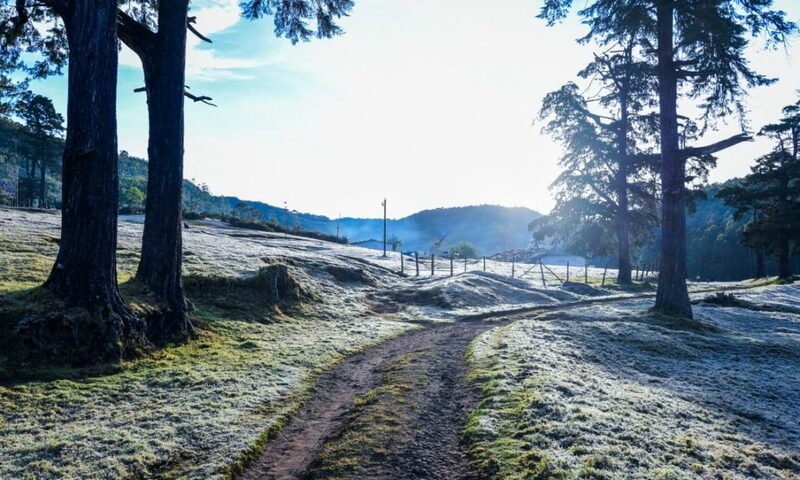 Frosty path to the Kanan Devan Hills Plantations (KDHP) tea garden near Munnar, India. Photo by Dr. Anjay Thomas. There is a revolution going on in South India, right under our noses. 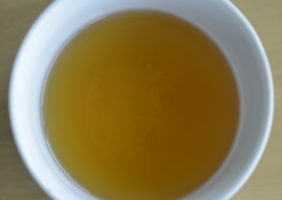 Up until the late 1980s perhaps, South Indian tea – from Karnataka, Tamil Nadu, and Kerala – was predominantly comprised of mid-grade CTC (cut, tear, curl) produced for the local market. 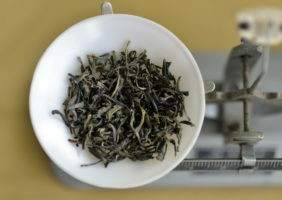 In addition, there was a range of orthodox black teas, leaf and broken grades, sometimes displaying excellent quality but quantities were limited. 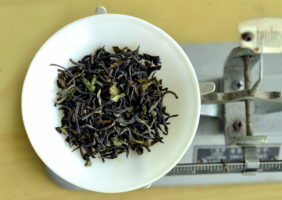 Premium teas from Nilgiri were well-known among brokers and traders, but not widely recognized by consumers, because most was used in tea blends sold in tea bags. This is rapidly changing. The collapse of the Soviet Union (formerly south India’s biggest tea customer) in 1979 and dramatic changes in export markets and consumer habits have put pressure on southern gardens to improve cup quality and deliver more options. Change began first among small growers and factories, which raised green leaf standards and began to experiment with specialty teas. This has spread to the corporate sector as well. By the first decade of this century, Nilgiri white teas, oolongs and boutique black teas began showing up in Europe and America. Albeit “the tip of the iceberg,” this tasting is evidence of how radically things are shifting in this South Indian segment. Glendale is a legacy tea estate from the 1950s – actually three gardens – located at around 4,000-6,000 ft. MSL near the Nilgiri District town of Coonoor. The WinterTwirl is reputed to be outstanding due to its origin in the cool dry period immediately following the October-November monsoon there, but I found the spring version really quite good. The small, twisted and looped dry leaf released a strong malty scent followed by wheat toast, a whiff of dried rose petal and sweet hay. 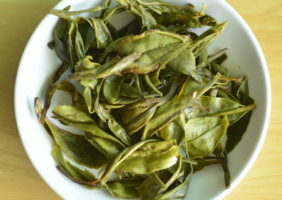 The consistent leaf contained twists of dark brown, light brown and gold interspersed with dark green bits and a few silver tips. 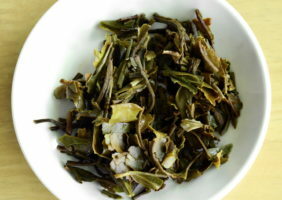 • The infusion, which boasted a muted shade of green, revealed light floral notes of honeysuckle tinged with allspice. • The liquor was not astringent (I could have stood a bit more), but bright, with a striking fresh, green kick – clear evidence of spring. 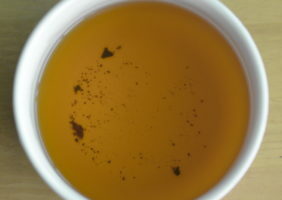 The tea was a tad tart, rather than sweet, fresh, vegetal, with more in the high registers then treble. 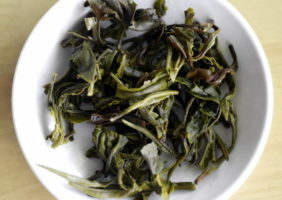 To fully appreciate this tea, I suggest “stopping to smell the roses,” that is, take time to sniff the dry leaf, enjoy the lovely complexity of the infusion and then enjoy a soft, easy-to-drink cup. Havukal, planted in 1910, with its companion estate Warwick, planted in 1876, are family-run gardens whose current owners came on board in the 1950s. Havukal is well-known for the fastidious management of its factory and gardens. The higher reaches of the garden are planted with clones such as the high-quality CR6017 and TRF4 cultivars. The tiny, finely-plucked twisted leaf yielded a robust floral scent with shades of sweetened cocoa. Leaves were dark brown to dark green with no tips. • The infusion was earthy and redolent of toast, with a bit of the floral. • The liquor had medium astringency, some welcome bass notes and a harmonious medley of flowers and earth. This tea can take milk but must be well-steeped. This estate is part of the Glendale Group of Nilgiri and has recently created the new Avataa line of specialty teas. The focus of Billimalai is now more on processing and value-adding then on tea cultivation, which means they are “freed up” to develop new tea styles not formerly seen in Nilgiri. 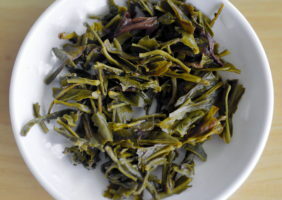 This is a large leaved tippy tea with a profound, almost surprising, aroma of sweet hay, barley malt and dark toast. • The infusion is loaded with roses and muscatel grapes with a nice spicy edge. • The liquor reflects the character of the infusion to a remarkable degree but is lighter and subtler. It has a perfect level of astringency and is nothing short of poetic. 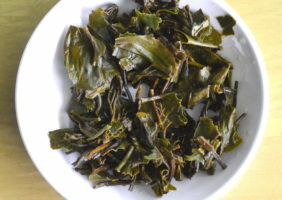 Korakundah is the organic, high elevation sister of Chamraj tea estate, UNITEA Group. 2,300 acres purchased in 1954, one of the last existing tea gardens acquired by UNITEA. At its highest point it has tea growing at over 8,000 ft. above sea level. This is an attractive, consistent, high-quality pluck with a nice twist. Leaves of green, khaki and verdigris boast a piquant vegetal aroma with touch of fermented flower petals. • The Infusion intensely greenish, redolent of cooked asparagus. The dash of white grape is intriguing. • The liquor pleasantly vegetal reminiscent of green beans and capers. There is a light, flowery finish. Tea Studio, is an experimental tea factory run by five talented Indian professionals in the Nigiri hills about 5 kilometers north of Coonoor. The state-of-the-art tea factory powered partly by LPG (liquefied petroleum gas) is at the heart of project. 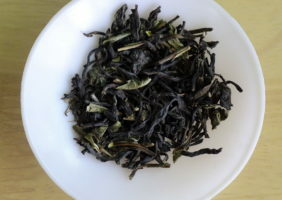 The group acquires organically-grown tea from nearby small growers and processes it using methods and machinery novel to the Nilgiri region to produce a line of boutique teas, many in the Chinese style. Products are turned out on a trial basis by four young local female tea-makers from nearby tea-making families. 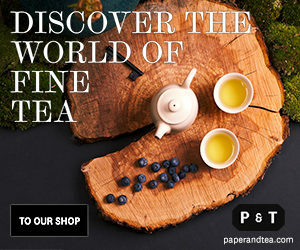 The Tea Studio has links with Camellia Sinensis, a tea trading company in Montreal, and I’m guessing they will be one of the first commercial tea companies to offer Tea Studio products to the tea-loving public. Large, lightly rolled leaves of assorted colors: rich charcoal brown, maroon brown, khaki and light green flecks with an occasional bit of stem. Sharp scent of pine resin with an undercurrent of rose petals. • The infusion reveals a strong current of chocolate, barley malt and even molasses. • The richness of the infusion subsides somewhat in the liquor to a harmonious mixed flower bouquet with a rosy finish. 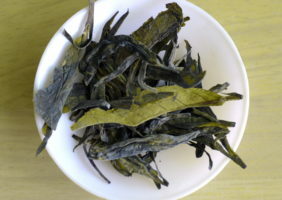 The appearance of the dry leaf suggests traditional Hangzhou Long Jing with its flat, wok fired leaf surfaces and the appearance here and there of a bright “living green” color, but there is deviation in leaf size, shape and color, which varies from charcoal black to grey and khaki. The scent of the dry leaf is definitively sweet, warm and grassy. 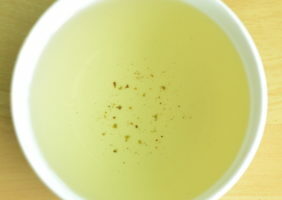 The infusion hews the line: It is totally “Long Jing,” with a bit of savory cooked asparagus, some sweet cut grass and hay. The liquor does not follow through 100%, though, but it is delicious, nevertheless. 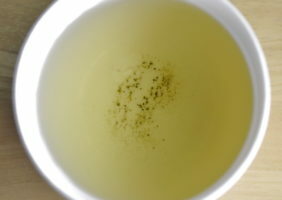 It takes professional courage for Indian tea-makers to attempt to produce a “genuine” Long Jing in India out of Indian material. 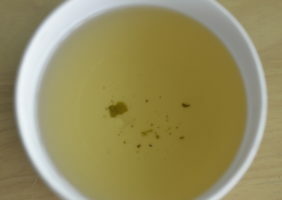 It doesn’t surprise me that the tea is good, that it is reminiscent, but not a perfect copy, of the original. I’m quite sure that was not their goal. Shabash (congrats). Sources: Thanks to TeaBox, Bangalore and Siliguri, an excellent on-line source of fresh tea from India, and Tea Studio, Nilgiri, a bright spot of tea on the horizon, for the many tea samples they sent me. 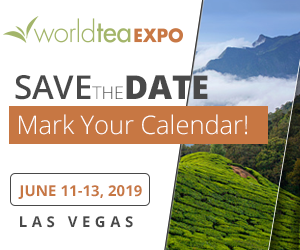 Frank Miller is a pioneer in specialty tea retail who established the Teahouse Kuan Yin and the Blue Willow Tea Company in 1989. He has worked in importing, blending, marketing, retail and wholesale tea – virtually every sector except production. 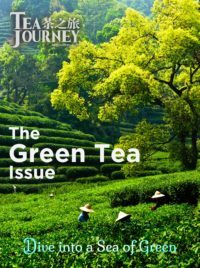 In 2004 he relocated to Southeast Asia and began a career as a freelance writer and photographer, specializing on the subject of tea.